The largemouth bass fishing in Central Florida is remarkable. There are so many lakes that support habits conducive to the growth of giant bass. This is truly big bass country. 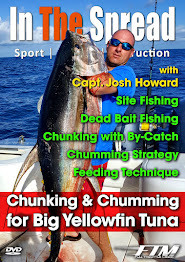 Knowing when and where to fish throughout the year can be a challenge. 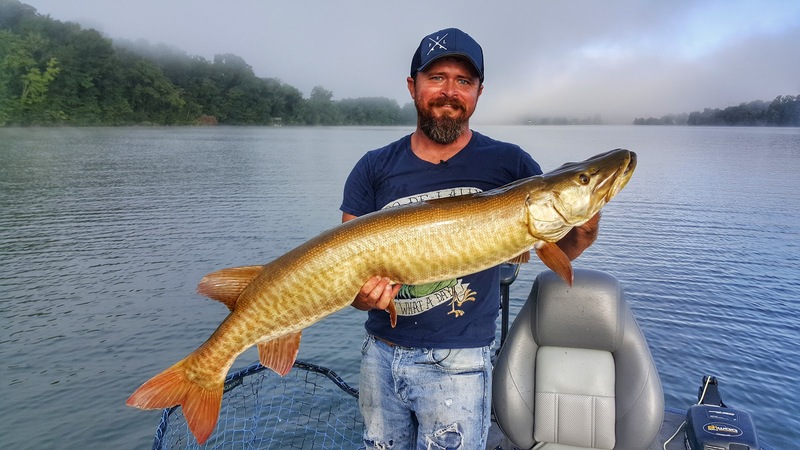 Most of the well known bass lakes are not super easy to fish, but if you spend enough time on the water or know someone who spends ample amounts of time on the water, then you are way ahead of the game. 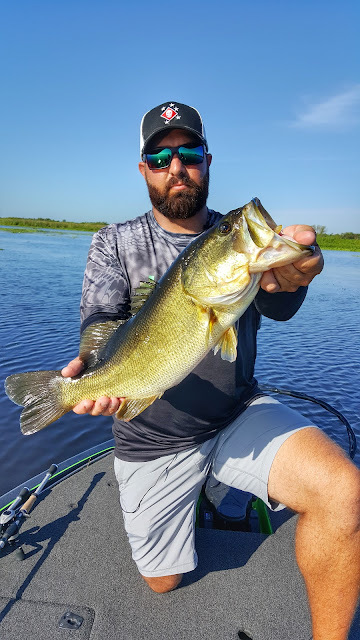 Last week, we ventured to a remote lake south of Orlando with bass fishing pro Nick Kefalides to target largemouth bass on topwater. As he says, "this is not for the faint of heart". Surface detonations can startled you, as big bass explode on lures. Nick is an ex-marine special operator, so he brings a unique discipline to his fishing. He is very focused, patient and ready for any eventuality. He passion is topwater fishing and it shows. Cory Allen and Seth Horne had a very successful day and a half filming for In The Spread and covered at least 7-8 different topics from approaching open water to advanced trolling concepts and a variety of lure presentations from utilizing select spinnerbaits for suspended fish casting (where we lost a low 50” on film at the boat) to highlighting unique traits of some gliders made by Tim Woodyard and twitch baits maximized by his customization. On top of landing a few nice fish up to 48”, caught trolling a Blue Water twitch bait on film and the fish in the featured picture here, you get to see me hook the giant using Joe Murphy’s specially designed safety pin spinners made to target less active suspended muskies on the third cast using it as such and Seth had another we missed the hookset on fishing down 14-18 ft over 22-35 ft. I hope you guys will enjoy these videos and they help you gain some confidence in a few areas as well as further enhance your ability to problem solve on the water no matter the situation you face.